New arrivals make us longing for spring and fresh colour palettes. 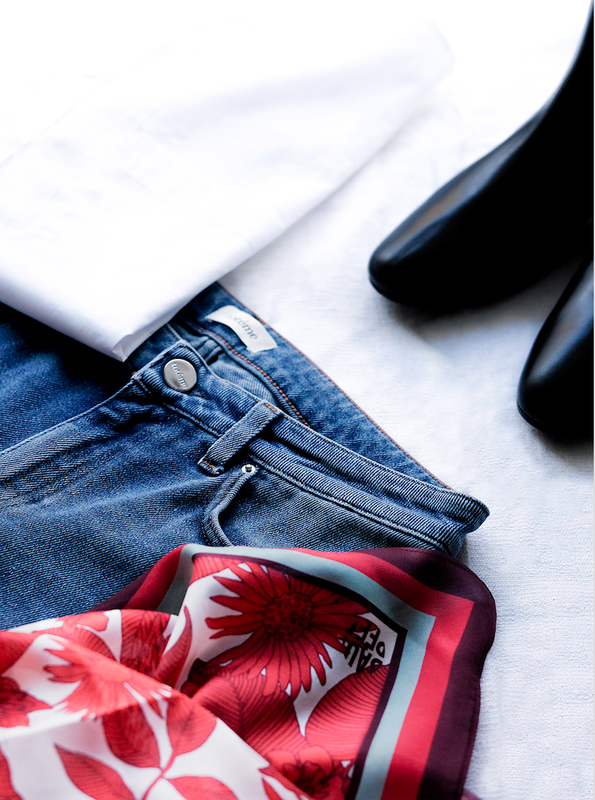 Favourite jeans by Totême, crisp white cotton shirt with a boxy fit by Samsøe&Samsøe, flower silk scarf by Baum und Pferdgarten and boots by ATP Atelier (on sale! ).